We have won our fourth Ichiban Award! 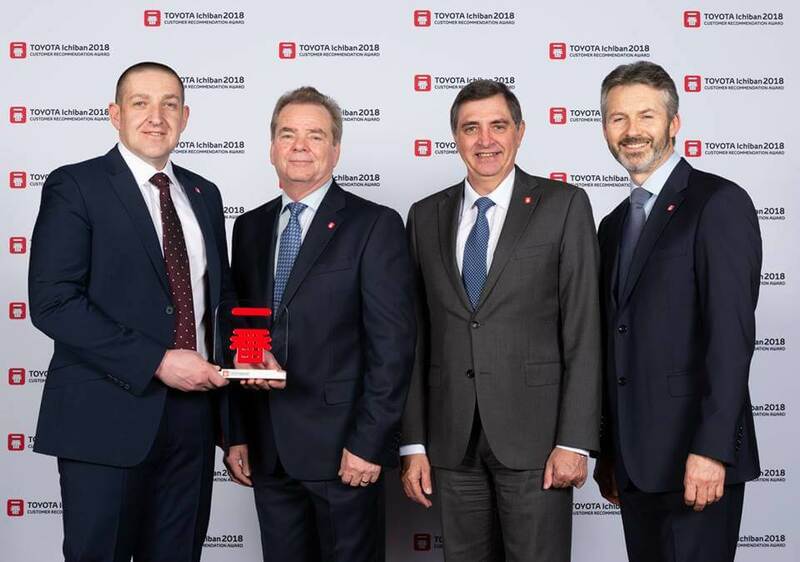 Our Toyota Barnsley have been recognised as one of Toyota's finest retailers in Europe by receiving an Ichiban award from Toyota for our excellent performance in customer recommendations for our sales and aftersales service. Out of over 2,500 Toyota retailers across Europe, we have received four awards in five years! Ichiban means 'number one' in Japanese and the award is given to the retailers across Europe who 'capture the hearts and minds of all their customers'. During the ceremonym the President and CEO of Toyota Motor Europe, DR Johan van Zyl, stressed the importance of creating a personalised experience for each and every customer who is interested in the Toyota brand. Our very own General Manager, Steve Davidson, and Managing Director collected the trophy at the awards ceremony in the beautiful Scottish Highlands, in Perthshire. Another great win for our multi-award winning Toyota Barnsley site!